Muse: any number of sister goddesses or any goddess presiding over a particular art. 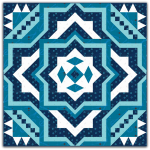 The finished quilt measures 64" x 64". 3-Month Block Series. Muse is published as a pattern book. 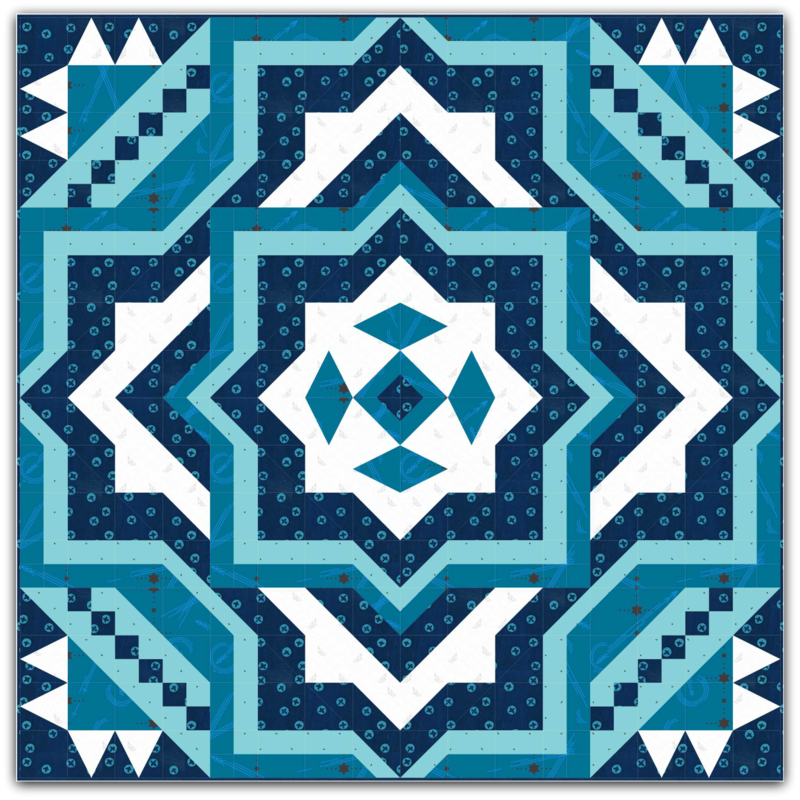 There is even a bonus quilt pattern each block month that features that one block designed into another whole quilt. The Muse blocks are put together to create stunning presentation. 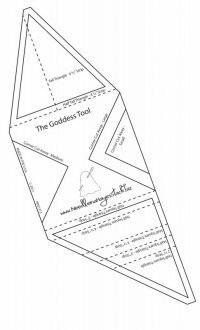 A paper template of The Goddess Tool is included in the pattern book. An acrylic version of The Goddess Tool is available.